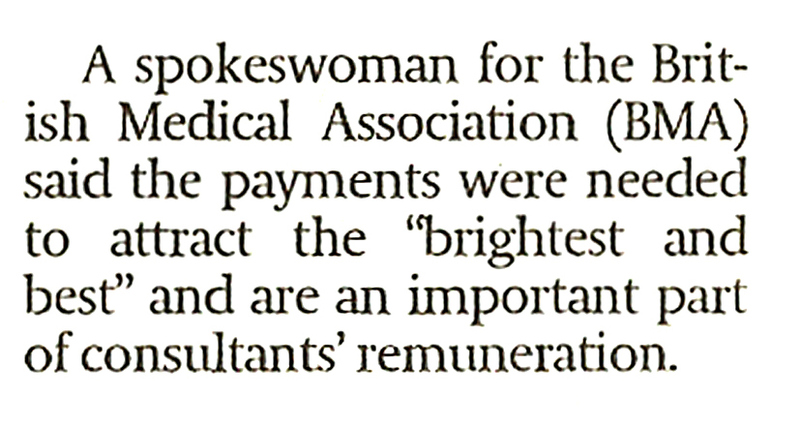 This reminded me of a range of views expressed after I offered my personal considerations about “pay awards” for NHS Consultants. My personal view is that such financial incentivisation risks skewing behaviour. 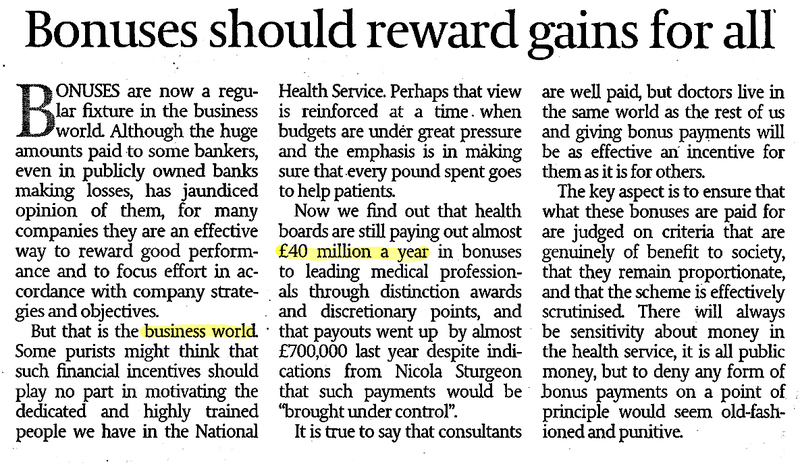 This potential has been evidenced in other areas of healthcare where “incentivisation” has been involved. There may be further consequences of financial incentivisation: such that professionalism may be “guided” more by managers, politicians and “improvement science” than by experience, training and knowledge. It is many years since I was part of a discretionary award panel but I noted at the time that a number of applicants were working “jointly” with the pharmaceutical industry, particularly in research. 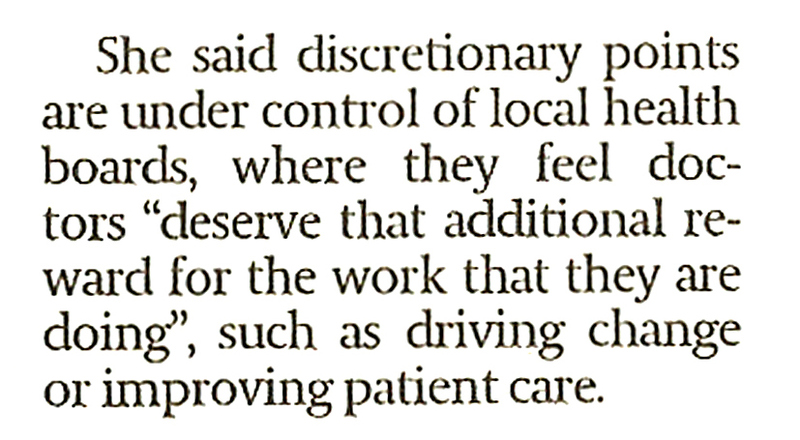 Such research would significantly improve the chance of a senior doctor getting discretionary points or merit awards. None of these senior doctors did I ever find declaring such interests on any register of any sort. Declaration: I have one discretionary point. I no longer apply for awards. This is my personal view. I respect all other views.